​Music has been and will continue to be a top selling category online. ​Furthermore, music DVD videos continue to help music sales see outstanding growth in the music category. And DVD music videos are expected to become a major growth contributor to music sales in general. The figures were published by IFPI, the organization representing the record industry worldwide. And to make matters better, album sales are up as well, due to digital download distribution. 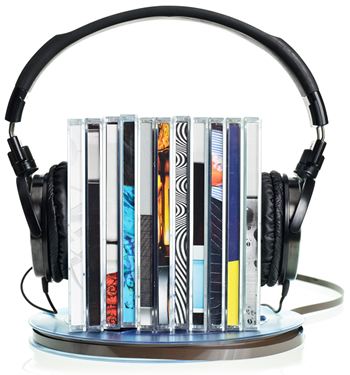 Research firm Nielsen SoundScan announced that the industry recorded an increase in overall U.S. album sales. Digital music helped power the gains as sales of digital tracks rose and grew at a healthy 19 percent. And some experts claim that new music and new artists are two of the main contributing factors for bringing in all the music fans and increasing music sales. 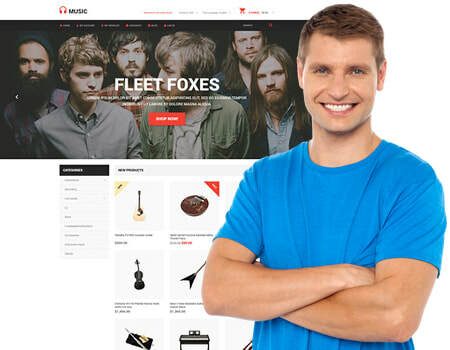 ​This becomes a major influencing factor on music sales worldwide. Russ Crupnick, NPD's senior industry analyst, said people seem to be interested in music again as well. For this he too credits some of the hot new acts as well as better music-discovery tools (Pandora, YouTube, and Slacker), listening devices (smart phones) and other factors as well. However, regardless of digital media distribution, people still want music CD's. "We talk about young people and the lost generation but some of these younger music buyers are telling us 'I want that thing I can hold, the liner notes and album cover and the other ancillary materials that come with physical products" said Russ Crupnick of NPD. ​It’s actually a very exciting time for music fans, with these industry-changing music services that will only continue to expand functionality and integration with existing web and mobile wares. Not to mention the fact that many sites are making music discovery easier and more exciting, which in turn leads to users going out and buying more tracks and more albums. ​The industry has also stepped up its fight against music piracy worldwide, with intensified legal actions against infringing peer-to-peer services and a global education campaign aimed at online piracy among corporations, government and colleges and universities. This too is a positive sign of potential growth in the music sales industry.